2. Extension of Due date for GSTR-1 in case of taxpayers with turnover above Rs 1.5 crores in previous FY or Current FY for newly migrated taxpayers : for months from July 2017 to November 2018 extended till the 31st December 2018. 3. Extension of Due date for GSTR-1 in case of taxpayers with turnover up to Rs 1.5 crores in previous FY or Current FY for newly migrated taxpayers with respect to all quarters from July 2017 to September 2018 is extended till 31st December 2018. Migrated taxpayers being every person who were registered under the old tax regime like VAT, Service tax with a valid PAN number had to obtain GST registration. The earlier time limit for switching was 31st December 2017. This provision is now relaxed only for some taxpayers who could not complete the registration process. Under GST, If the aggregate turnover by making taxable supplies in a financial year exceeds Rs. 20 lakhs, one must register under GST for each State. This threshold for North-eastern States, Himachal Pradesh, Uttarakhand and Jammu & Kashmir is Rs.10 lakhs. Once enrolled, he shall be granted registration on provisional basis. Certificate of Registration in FORM GST REG-25, incorporating GST Identification Number shall be made available to him. Now, the window to complete the registration process as mentioned above has been reopened, and Form GST REG 26 may now be submitted within 31st August 2018. However, the provisional registration should have been obtained within 31st December 2017. 2. Furnish details in FORM REG 26 to the Judicial Nodal Officer of the Central or State Government. 3. GSTN will send an email on submitting the above Form. 5. To apply for registration the taxpayer has to log into the GST portal and click over the Services Tab. The GST portal may be accessed by logging onto http://www.gst.gov.in. 6. Once the proper officer receives the application, and it is approved, taxpayers will be sent an email, mentioning the Application Reference Number, a new GSTIN and a new access token. 8. 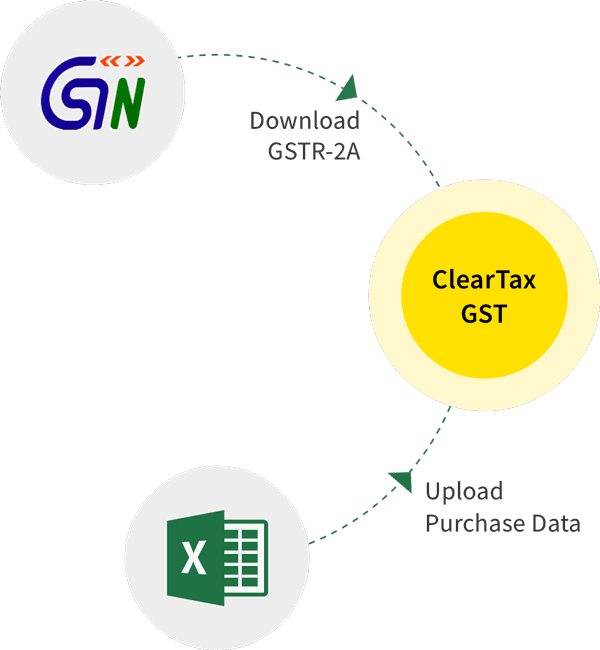 The GSTN will then do the necessary procedures to complete the process for mapping the new GSTIN. 9. The taxpayers are required to use the old GSTIN in the portal during first time login for the generation of the Registration Certificate. They shall be deemed to be registered from July 1, 2017.